I would like to think I am a decent person, with good manners and a sense of decorum. Not today!!! Working with heavy wood above my head sends me into a swearing aria! I’m really hoping most of the neighbors weren’t home, and definitely glad I am in a country setting so no other houses are too close. Tonight I’m a little worn out, and I can’t tell if it’s because I got a lot done, or if it’s because I drained my energy dry from all the cussing. Sigh. I don’t have a “pretty” blog…. Anyway, more progress! 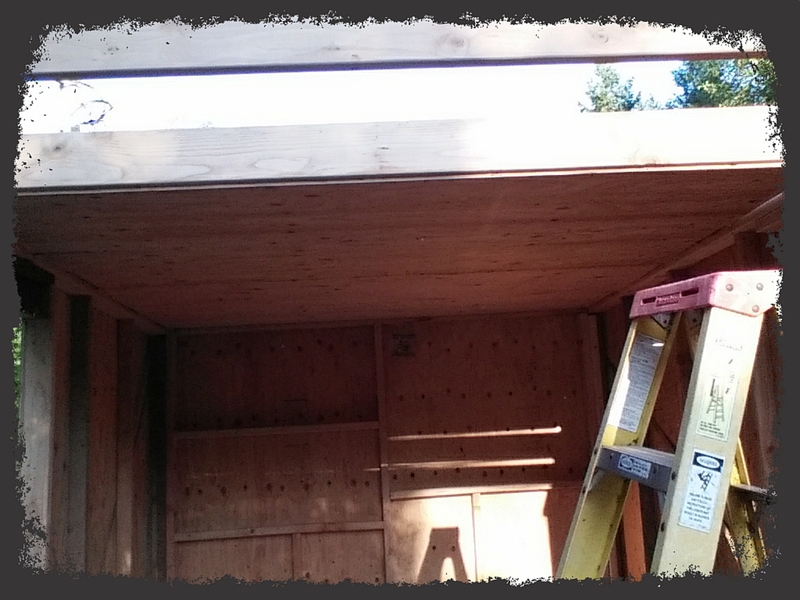 Approximately half of the ceiling/roof insulation/roof sheathing is done. 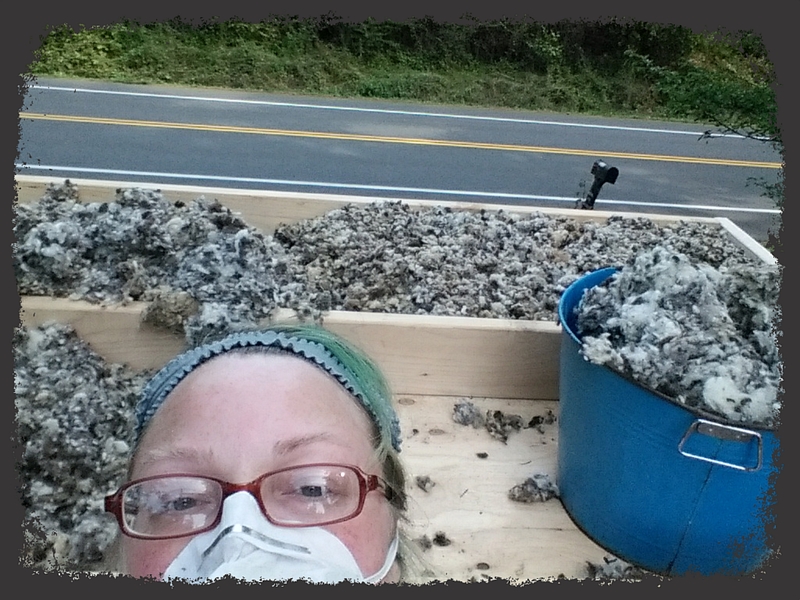 There is about 6″ of insulation in the floor, and 6″ in the roof. That should really help with climate control and somewhat with sound buffering. I have so much of the wool left that I can really pack it in to the walls when I get to that step. Fitted the joist headers (I think that’s what they’re called). 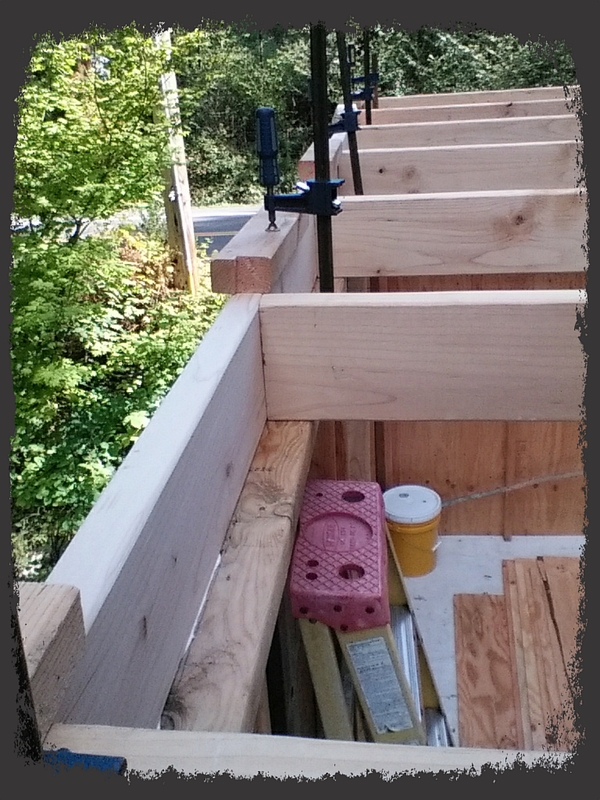 Used liquid nails as well as screws, as this part of the house needs to be really strong. The yellow bucket is 5 gallons of gray paint I purchased at one of the nearby ReStores. Score! Sundown and being tired forced me to stop at about the halfway point. I am proud of you. It’s taking shape. Working above your head with wood Is so hard as I remember doing this myself. I was often very grateful for space around me with no close neighbors because I know they would have thought poorly of me as the air was filled with expletives. I pray for your continued strength and sense of humor. LOL. 🙂 Your work is so beautiful it doesn’t appear as if you had any trouble at all! I only hope my little home will look half as good as the houses you built.